In September, President Donald Trump decided not to renew Deferred Action for Childhood Arrivals (DACA), an Obama Administration program that protected qualifying immigrant youths who arrived in the U.S. as children from deportation while also providing them a work permit. With the absence of the renewal and no further action by congress, there is a looming uncertainty of work for immigrants as well as the possibility of deportation. In Virginia, there are 12,000 DACA recipients (U.S. Citizenship and Immigration Services) with work authorization and jobs spanning numerous industries held within the Commonwealth. As a result, Virginia faces the possible consequences of loss in jobs and talent acquisition that casts a shadow over both those seeking employment and the growth of businesses. The president’s decision on DACA also stimulates a concern for anti-immigrant sentiment with the new challenges immigrants and businesses will have to face. “It has a chilling effect on wanting to hire foreign workers, wanting to open up a business here in the United States and go through the whole process of doing that,” remarks Radlyn Mendoza, of Virginia Beach law firm Gardner & Mendoza, P.C. The repercussions on the economy and business, from owners to employees is vast. A common dilemma for business owners caused from the anti-immigrant sentiment is the questioning of whether they want to go down the challenging road of petitioning for a professional worker who is an immigrant. It also becomes more problematic for immigrants to start their own business in the United States. Even for companies wanting to transfer foreign workers to the country for startup businesses is met with reproach. Many DACA applicants are now bracing for unemployment. “They’re not going to have any status, so that’s going to affect all types of things—their ability to consume and be a part of the economy—so that’s a huge thing,” says Mendoza. The impact of this also causes a void in work and talent acquisition for companies, stunting growth and creating challenges for small and local businesses losing key personnel and now looking for replacements. The reality of this situation hits close to home too, as Mendoza has defended clients who are immigrants with thriving businesses who have gone on to buy homes and start their families in Coastal Virginia. 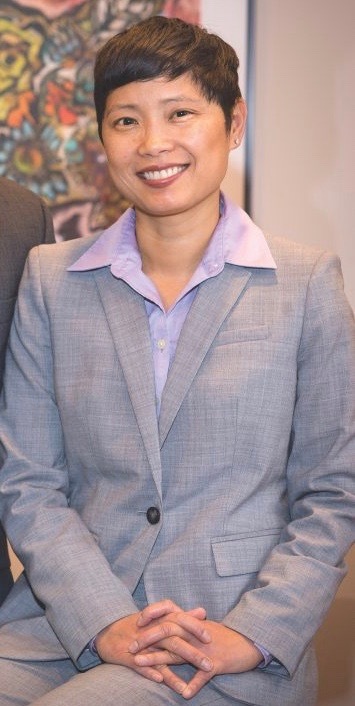 Mendoza’s own parents immigrated to the country from the Philippines, helping her to pave the way for her own success as an attorney. She grew up in Norfolk, attended ODU and then went to law school at Seton Hall University in New Jersey before returning here to practice law. Finding her own clients, she took out an ad in the Hispanic newspaper El Eco de Virginia as a versatile attorney. “Immigration is the practice area, among the 12 practice areas that I had listed, that kept my phone ringing,” she reflects. “That’s how I got into it, and I absolutely fell in love with it.” This year, Mendoza was named the Top Lawyer of Immigration Law by her peers in our annual Top Lawyers listings. There is some hope for immigrants who arrived to the country in their youth in the form of the Development, Relief and Education for Alien Minors (DREAM) Act of 2017, a bipartisan effort to permanently establish a pathway to U.S. citizenship. If passed, 39,000 workers in Virginia would be eligible for the DREAM Act.